is a professor of physics at Jefferson Community and Technical College in Louisville, Kentucky. He is interested in the history of astronomy, especially of the late 16th and early 17th centuries. His latest book is Setting Aside All Authority: Giovanni Battista Riccioli and the Science Against Copernicus in the Age of Galileo (2015). In 1614, when the telescope was new technology, a young man in Germany published a book filled with illustrations of the exciting new things being discovered telescopically: moons circling Jupiter, moon-like phases of Venus, spots on the Sun, the rough and cratered lunar surface. The young man was Johann Georg Locher, and his book was Mathematical Disquisitions Concerning Astronomical Controversies and Novelties. And while Locher heaped praise upon Galileo, he challenged ideas that Galileo championed – on scientific grounds. What were those problems? A big one was the size of stars in the Copernican universe. Copernicus proposed that certain oddities observed in the movements of planets through the constellations were due to the fact that Earth itself was moving. Stars show no such oddities, so Copernicus had to theorise that, rather than being just beyond the planets as astronomers had traditionally supposed, stars were so incredibly distant that Earth’s motion was insignificant by comparison. But seen from Earth, stars appear as dots of certain sizes or magnitudes. The only way stars could be so incredibly distant and have such sizes was if they were all incredibly huge, every last one dwarfing the Sun. Tycho Brahe, the most prominent astronomer of the era and a favourite of the Establishment, thought this was absurd, while Peter Crüger, a leading Polish mathematician, wondered how the Copernican system could ever survive in the face of the star-size problem. Locher thought much was up in the air and ripe for study. In light of the star-size problem, he thought that the Earth clearly did not move; the Sun circled it. But the telescope made it clear that Venus circled the Sun, and that sunspots also went around the Sun. Brahe had theorised that all planets circled the Sun, while it circled Earth. Locher noted that Brahe might be right, but what was clear was that the telescope supported Ptolemy. Ptolemy had explained those oddities in planetary movement by theorising that, as planets circled the Earth, they also rode on a smaller circle, or epicycle, creating an odd motion like a ‘Scrambler’ ride at a carnival. Locher wrote that, prior to the telescope, this was just an idea – no one knew if epicycles really existed. But the telescopically discovered moons of Jupiter were proof of epicyclic motion: the moons rode in circles around Jupiter, while those circles rode with Jupiter on its orbit. The telescope had proven Ptolemy correct; it was just that Venus and sunspots (and maybe all the planets) had their epicycles centred on the Sun. Locher thought the epicycle question could be probed further through telescopic observation of Saturn, and in particular of the protrusions seen on Saturn (at the time, no one understood these to be rings). Locher argued that a long-term study of how those protrusions change might show that Saturn rode on an epicycle. But a study of Saturn was not the only programme of telescopic research that Locher proposed. He was particularly excited by Jupiter’s moons. He explained that by using a telescope to carefully gather data on when those moons passed in front of Jupiter and when they were eclipsed by its shadow, astronomers could calculate angles and geometrically determine distances between the Sun, Earth and Jupiter in a whole new way. Unfortunately for Locher, he turned out to be wrong about the Earth not moving (the apparent sizes of stars would be shown to be spurious, an effect of optics). Worse, Galileo in his Dialogue Concerning the Two Chief World Systems (1632) made sport of a certain ‘booklet of theses’, namely Locher’s Disquisitions, quoting from it without identifying its author or title. He caricatured Disquisitions, then ridiculed the caricature, portraying the ‘booklet’ as the work of a befuddled establishmentarian, hung up on the ancient idea of an immobile Earth. Galileo gave no clue that the ‘booklet’s’ author was complimentary to him, excited about new telescopic discoveries, encouraging further telescopic research, and wielding solid arguments against Earth’s motion. Locher was forgotten, while Galileo’s caricature became accepted as history, and applied to the entire debate over Earth’s motion. That is unfortunate for science, because today the opponents of science make use of that caricature. Those who insist that the Apollo missions were faked, that vaccines are harmful, or even that the world is flat – whose voices are now loud enough for the ‘War on Science’ to be a National Geographic cover story and for the astrophysicist Neil deGrasse Tyson to address even their most bizarre claims – do not reject the scientific process per se. Rather, they wrap themselves in the mantle of Galileo, standing (supposedly) against a (supposedly) corrupted science produced by the ‘Scientific Establishment’. Thus Locher matters. Science’s history matters. 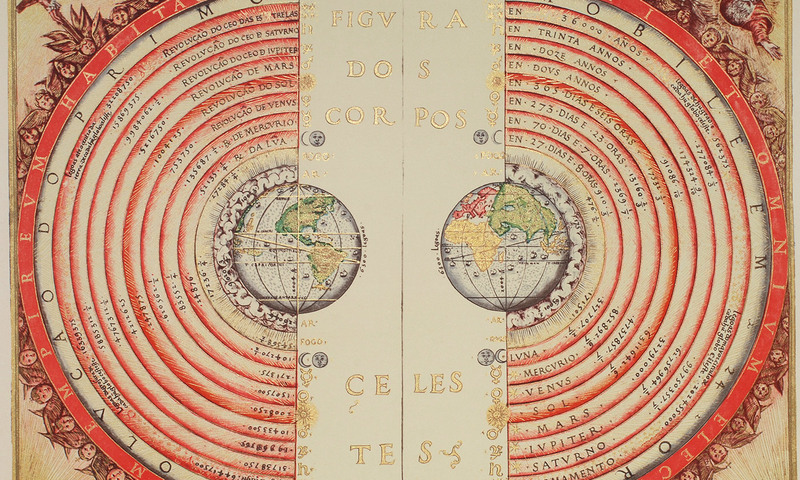 Anti-Copernicans such as Locher and Brahe show that science has always functioned as a contest of ideas, and that science was present in both sides of the vigorous debate over Earth’s motion.